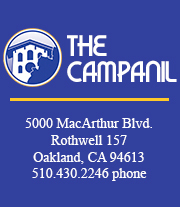 What did The Campanil think of the news? We felt that Uber’s choice to purchase the Sears building will contribute to the gentrification that has already been occurring in Oakland. Although we are aware of the potential jobs and “economic development” Uber could bring, we also cannot help but wonder what it takes away from us. Oakland is known for its diversity and activism throughout its history. Especially because it is in downtown Oakland, we feel that Uber’s choice takes away the offbeat reputation that the city is known for. Another thought we had was that when Uber has finished its construction, who will they hire? We question whether Uber will work to hire Oakland residents or if it would become a place for San Francisco residents to commute to. If it were the latter, it would contribute to the gentrification and displacement that is already happening in Oakland. Uber’s history with the San Francisco Bay Area has been viewed in a negative light (i.e. questionable hiring choices), and we doubt that the company will want to build a true relationship with the community it has bought itself into. Oakland has been experiencing gentrification in many sides of the city, particularly around Lakeshore, North Oakland, and downtown. According to a policy report used by The Bold Italic, rent has already increased 9.1 percent from Nov. 2013 to Nov. 2014. In the same report, it was released that the African American population in Oakland decreased by 24 percent, and that home ownership in East Oakland decreased by 25 percent. The Campanil also notices the potential trend that Uber is following, along with other companies and startups: They are slowly working to make Oakland a technological hub akin to San Francisco. We could not help but notice how quickly San Francisco has shifted into a tech hub in the past 10 years. Because of that quickness, we fear that Oakland will lose more of its history, diversity and creativity. Although gentrification and displacement appear inevitable, we understand the importance of truly preserving the history, culture and diversity of Oakland. As journalists and community members in Oakland, our role is important. We have to participate in moments like these through our stories, letting the Mills community know what is happening in the community they are involved with.